We're proud to grow our own vegetables from seed, and hand-pick everything only when it's ripe and at the peak of deliciousness. This ensures that our customers get the highest quality (and most importantly!) 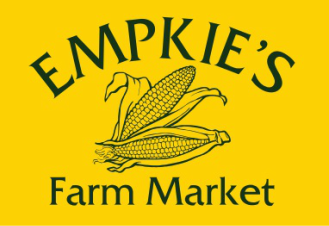 the best-tasting produce available. 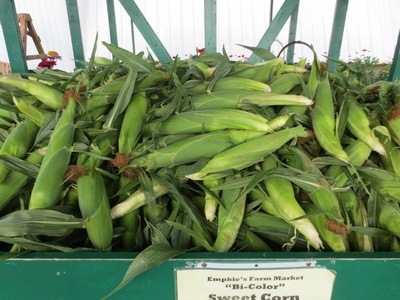 We grow several varieties of bi-color sweet corn - and we pick fresh every morning! How to Select: The husk should be bright green and not dried out. The tassel should be brown and somewhat sticky. Feel the top of the cob through the husk - it should feel plump and filled out to the end. There's really no need to peel back the husk - in fact that will only make your corn dry out and turn starchy faster - not to mention, making a mess! 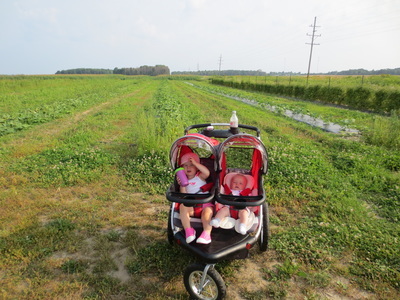 Our tomatoes are picked only once they're ripe - meaning they get as sweet as possible while on the vine. 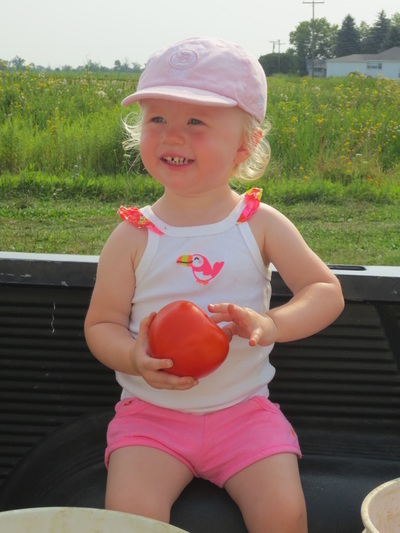 How to Select: Look for tomatoes that are bright red and somewhat soft to the touch, but not squishy. 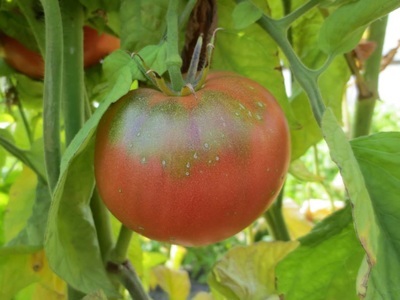 Tomatoes that are still somewhat orange and firm will continue to ripen off the vine if left at room temperature. This is a truly delicious cross between a traditional muskmelon and the French Charentais melon. These are smaller than a regular canteloupe - but they make up for it in flavor! How to Select: The rind should be yellowish in color. The stem end should have a sweet, muskmelon scent and the blossom end should yield slightly when pressed. These are tomatoes grown from seeds that have been passed down through generations. 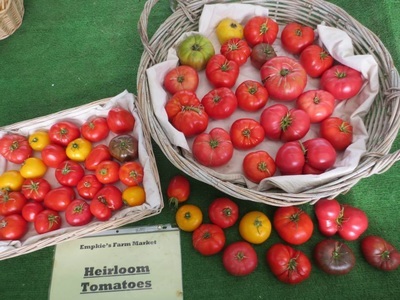 We grow several varieties of Heirloom tomatoes including Brandywine, Black from Tula, Boxcar Willie, Black, Lillian's Yellow, and Green Zebra. 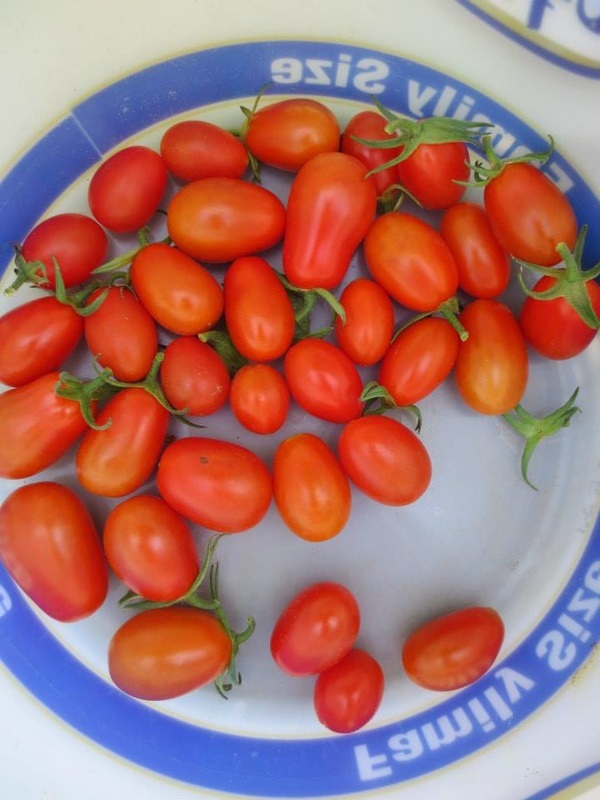 These tomatoes are only picked when they are truly ripe, giving them superb flavor. 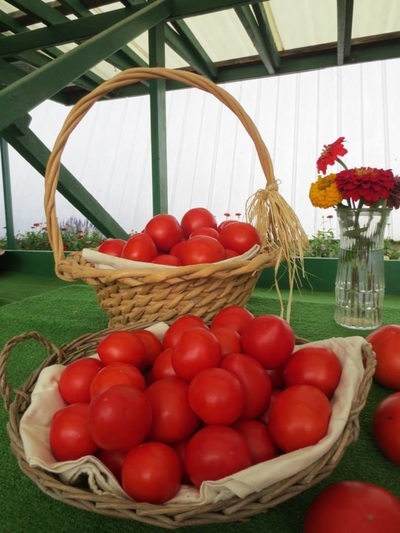 How to Select: These come in a wide variety of colors, so it's best to feel the tomato - it should not feel too firm nor too soft. Many heirloom tomatoes tend to have irregular shapes and some "split" near the stem as they ripen. Neither affects the flavor of the tomato - simply cut around the splits! 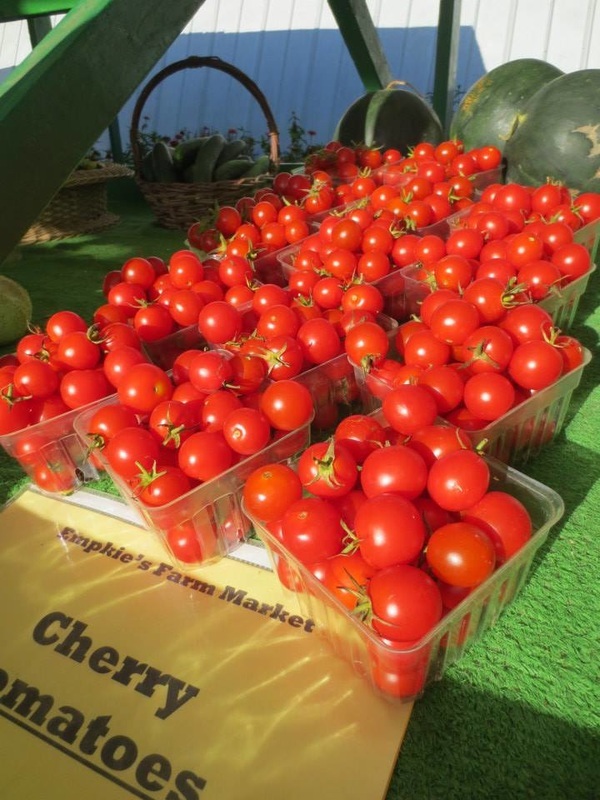 We grow five varieties of cherry and grape tomatoes - Sun Golds, Sweet Millions, Bumblebee Sunrise, Indigo Cherry Drops and Merlots. 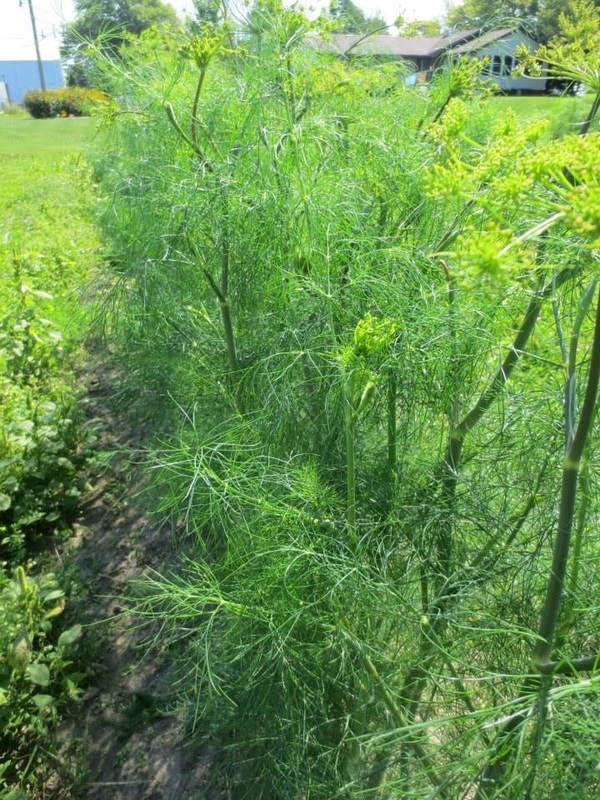 How to Select: Check for a uniform color, all the way up to the stem end. They should be somewhat firm and not bruised or overly soft. 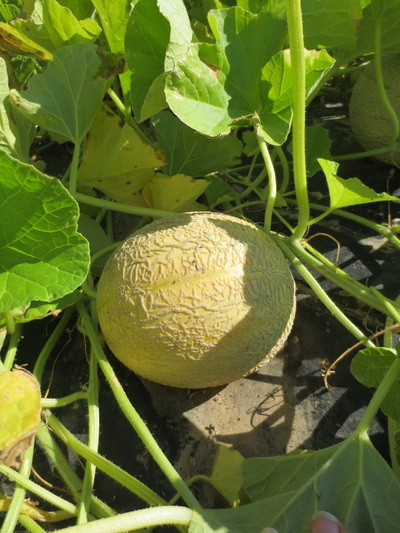 This is an extra-sweet French melon, with an aromatic, bright orange flesh. This is a unique melon with un-surpassed flavor. How to Select: Look for melons that are firm with a smooth, gray-green rind and dark green ribbing. Ripe melons will have a strong, sweet fragrance. We stagger our cucumber plantings to make sure you're always getting the freshest available - and ours are all natural, not coated in wax like you find at the supermarket! How to Select: This vegetable should be firm, not rubbery. The skin should be bright, and still have some ridges - the extra-plump, football shaped ones are over-ripe. Our peppers are picked by hand as they ripen to minimize bumps and bruises and to ensure the best taste. How to Select: Look for peppers with firm, shiny skin. Avoid dull, leathery peppers or ones with large soft spots. Many peppers will have odd shapes because of how they grew between the stems on the plant - they may look strange, but they taste every bit as good! 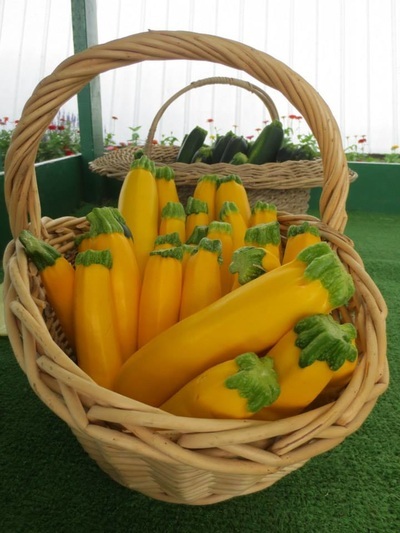 Also known as Summer Squash, we grow both yellow and green zucchini. Zucchini bruise and scratch easily, so we do our best to handle with care! We grow white and yellow onions, which are harvested and stored so they remain crisp and flavorful. 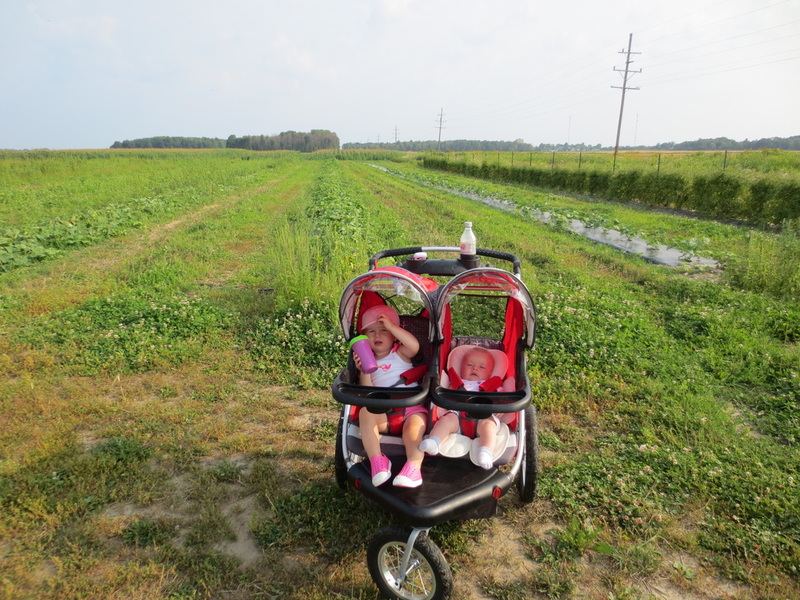 At times we do supplement our supply with locally grown onions. How to Select: Look for onions that are firm and have no deep bruises or bad spots. We grow jalapeno and habanero hot peppers. 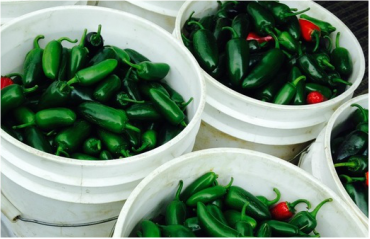 The jalapeno is a mid-range heat level pepper. The habanero is HOT! How to Select: Peppers should be firm, with shiny skin. Check for soft spots and bruises. We grow a limited crop of Russian Banana Fingerling potatoes - which are a low-yielding, high-maintenance type. We also offer new crop, locally grown, red and white "B" potatoes. How to Select: Potatoes should be firm, with no bruising. 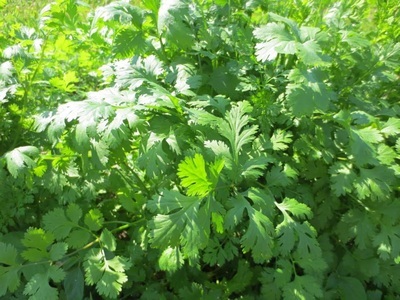 Occasionally, potatoes will have a green hue - this is due to exposure to sunlight, and does not affect the flavor.